When performed correctly, the remanufacturing of industrial equipment and components can be a practical, cost-effective, timely, and environmentally friendlier alternative to outright replacement. Whether refurbishing, repairing, reconditioning, reworking, rebuilding, and/or upgrading, the restoration of failing or threatened assets can help fast-track operations back to productivity. Turning to spindles – the heart of a machine tool – these precision components especially represent prime candidates for repair and rebuild services should performance problems arise. Machine tool spindles typically are used to rotate cutting tools, grinding wheels, or parts to be machined in applications ranging from milling, drilling, and boring to grinding, cutting, and sawing. Spindles are engineered to deliver high levels of speed, accuracy, precision, and repeatability and, ultimately, they represent complex systems integrating dozens of critical components that will impact machine tool performance. As with any critical asset, however, spindles can take a “turn for the worse” and fail for any number of reasons, whether due to contaminants, loss or increase of preloads, a number of lubrication issues, improper care and maintenance, or even using an inappropriate spindle design for an application. When failure occurs, outright replacement can cost outsized amounts of time and money. While a new spindle may be in a local dealer’s stock, on average the lead-time for delivery of a new replacement spindle can run as long as 24 weeks with productivity grinding to a standstill during the wait. The price tag for a new spindle, too, can be steep (sometimes averaging as much as triple the cost of a remanufactured unit). Such numbers make strong cases supporting remanufacturing over replacement. For years SKF has pioneered repair and rebuild capabilities for spindles at dedicated state-of-the-art service centers, where uniquely skilled engineers and technicians are equipped with the tools and expertise for the job. 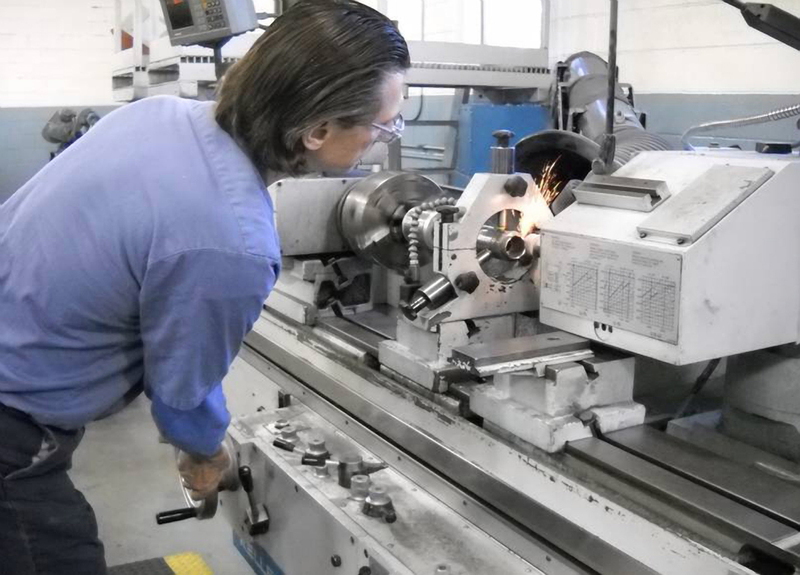 Services include advanced spindle analysis and testing, parts repair and manufacture, engineering, balancing of spindle components and complete assemblies, upgrades, and custom modifications, among other areas. Quality control is built into every phase of repair work, which is grounded in defined procedures and processes with the objective to return spindles to active duty as quickly as possible. Exemplifying best practices in action, here’s how SKF handles spindle repair and rebuilds from start to finish. These step-by-step procedures and processes can make all the difference in successful outcomes. When a spindle arrives for repair, visual inspection is conducted prior to disassembly for signs of external damage that may have contributed to failure. Spindles are logged in and work orders are opened. These track the spindle through each aspect of the repair process and document required and completed work. This practice keeps each component with its particular job throughout the process without the chance of inadvertently mixing parts. Spindles then are carefully disassembled in a dedicated area to maintain quality control. Technicians look for signs of contamination, signs of a crash, lack of oil, misuse, or other apparent signs of failure. Once a spindle is completely disassembled, each component is polished to remove surface rust or damaged high spots. Components can further benefit from washing with solvent and drying with air and paying close attention to the lubrication porting (typically very small passages or drilled holes in the spindle housing, shaft, and/or spacers that deliver lubricant to the bearings). The disassembled spindle next travels to an inspection area, where our trained technicians analyze each component for size, run-out, alignment, roundness, and parallelism. A subsequent detailed report can then be generated with discussion about probable root causes for the spindle’s failure and recommendations to prevent future failures. This in-house capability often is necessary and will influence a spindle’s timely return to productivity. Virtually any component of a spindle can be machined, remanufactured, or manufactured “new” through our facilities. When applicable, a climate-controlled area for grinding operations comes into play equipped with machines that can grind to very precise and exacting tolerances, including outer diameters (ODs), internal diameters (IDs), and internal and external tapers. Center hole, surface, rotary, and jig grinding capabilities to tight tolerances also can help accelerate a spindle’s return to service. Unbalanced rotating components in a spindle can seriously reduce bearing life and adversely impact spindle performance. Correcting an imbalance requires expertise in removing or adding weight to the component. Our balancing process is conducted in successive steps and, when all components are assembled, the unit’s balance is rechecked and corrected as necessary. Spindles are re-assembled in a dedicated clean room using ABEC-7 and ABEC-9 precision bearings equivalent to or better than the originals. Lubricants will be the correct type and amount for the application and filtered for purity. After re-assembly, spindles are brought incrementally up to operating speed in a clean-testing area. 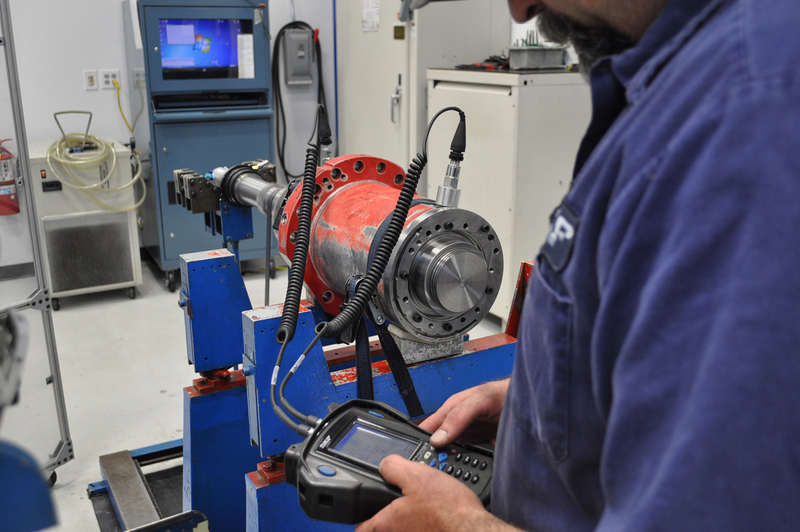 Tests verify speed, vibration, temperature, and critical run-outs. By monitoring all critical operating parameters, spindles can be returned to original specifications (or beyond). Stringent standards for quality control are always maintained even through the shipping process. In our case, spindles are wrapped in non-reactive material and smaller spindles are encased in foam. High-strength shipping cartons add protection and, for spindles weighing more than 125 lbs., custom-built wooden crates serve as a best practice for returning the spindle to its home. Other recommended elements of a total condition review for spindles can include motor and electrical checks and inspection of drive components, clamping system, lubricant, sealing system, and stator and rotor, among others. One more noteworthy initiative can make all the difference going forward. Every completed and verified SKF job is filed in a permanent database with each asset uniquely identified to enable tracing of the spindle through its future life cycle. This information can save time, money, and headaches down the road. Perhaps most appealing in the world of repair and rebuilds, spindles can be remanufactured many times over. Carrying the process one step further, the time may be right when spindles are off-line to consider upgrades. 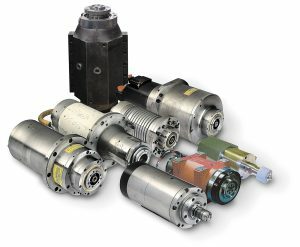 This can present an ideal opportunity to transform spindles into “better than new” condition in line with application demands and achieve even higher and/or newer levels of spindle performance, reliability, and longevity. SKF has been a leading global technology provider since 1907. Our fundamental strength is the ability to continuously develop new technologies – then use them to create products that offer competitive advantages to our customers. SKF achieves this by combining hands-on experience in over 40 industries with their knowledge across the SKF technology platforms: bearings and units, seals, mechatronics, services and lubrication systems. Our success is based on this knowledge, our people, and their commitment to SKF Care principles. SKF is present in over 130 countries and in around 40 specialized segments. Their business is divided into areas including: Industrial Sales Americas, Industrial Sales Europe and Middle East/Africa, Industrial Sales Asia, and Automotive and Aerospace. Each area supports the total life cycle of the customer’s assets and delivers a full range of products, services and solutions to both original manufacturers (OEMs) and end users. Ultimately, their dissemination of products, services and know-how through the organization allows SKF to offer the innovative solutions their customers demand. Patricia Wilson is Director of Operations, Solution Factory North at SKF USA Inc.